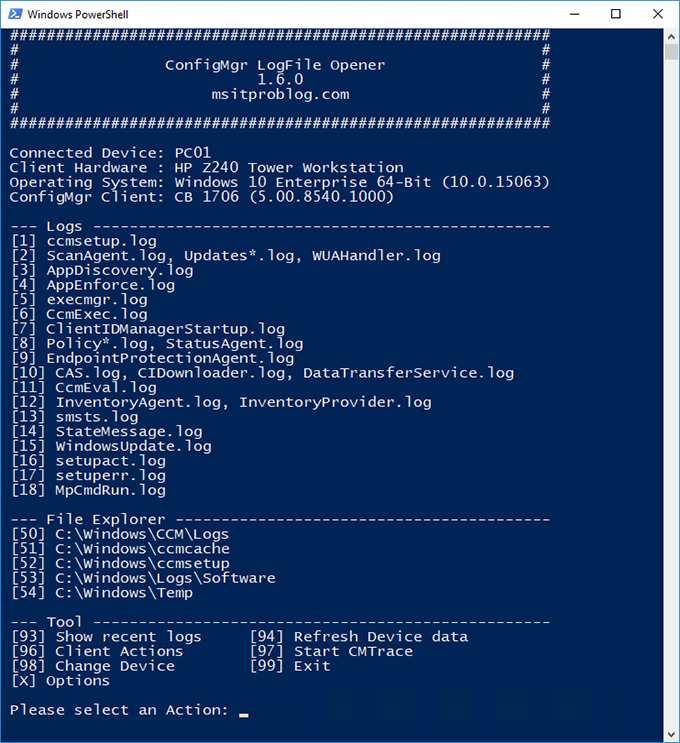 Version 1.6.0 of ConfigMgr LogFile Opener has been made available. This Release comes with a few new features and some small bug fixes. Splitted setupact.log and setuperr.log into individual Log entries, to prevent a CMTrace Merging error message. The new Version is available at TechNet Gallery for download. As always, If you find any bugs or have some feature suggestions, tag me on Twitter or in the Comments.